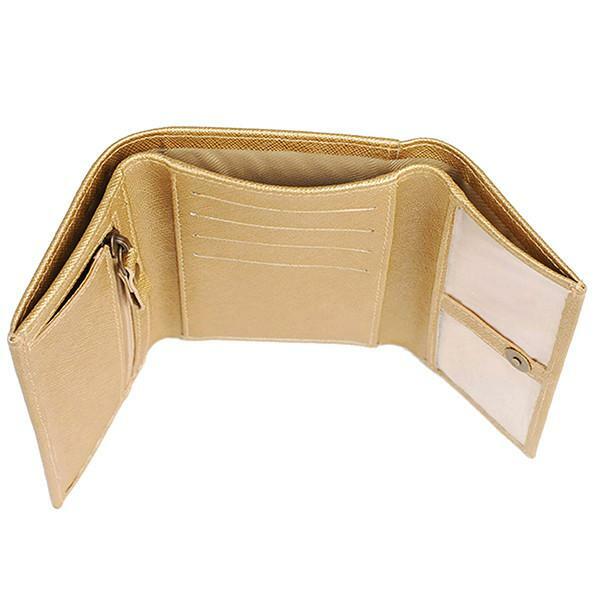 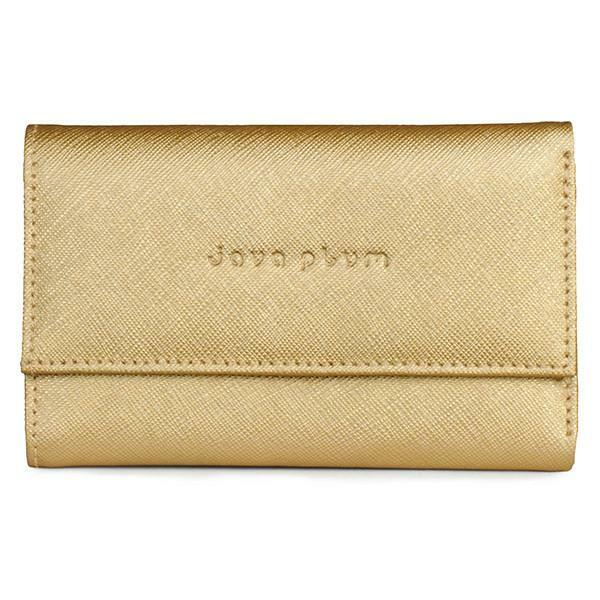 Small yet deceptively spacious wallet, with multiple zips and slots, this mini tri-fold wallet is supremely functional. 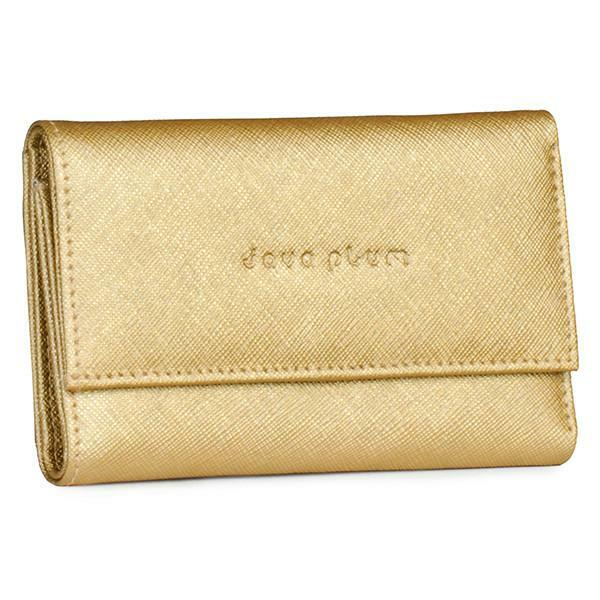 Perfect to put in a slim clutch on a night out or slip into a pocket when you want to travel light, it is made of a subtle bronze Italian leather with a distinctive saffiano texture. 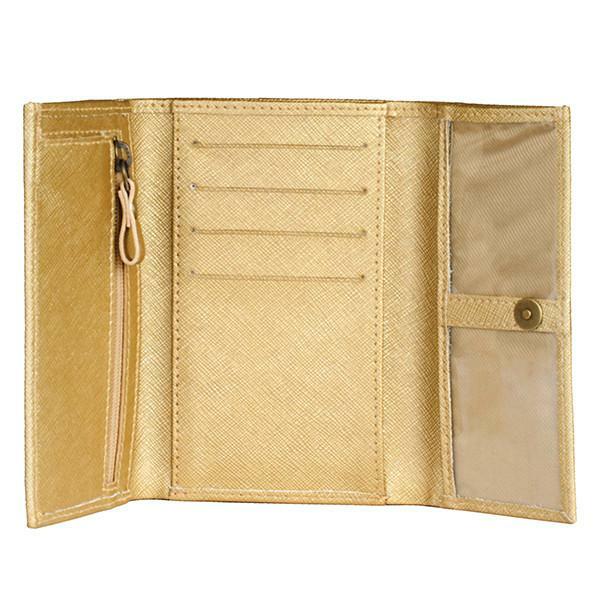 With multiple zips and slots, this mini tri-fold wallet is supremely functional. 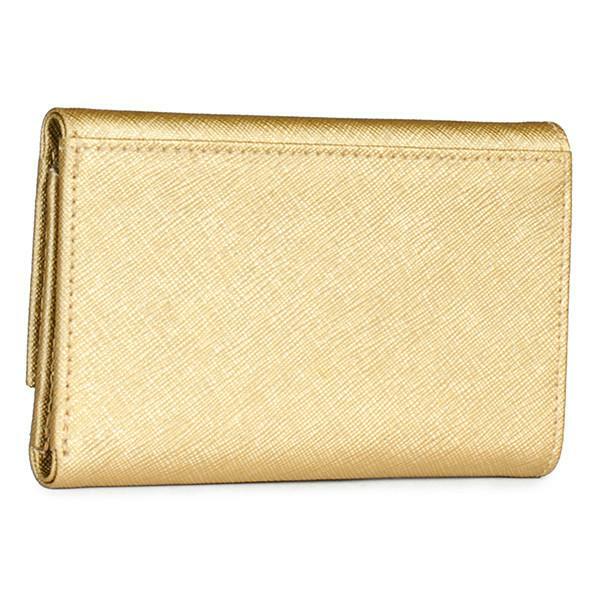 Perfect to put in a slim clutch on a night out or slip into a pocket when you want to travel light.